Whether you’re working outside on landscaping or enjoying a day by the pool the importance of outdoor electrical safety must never be overlooked. The elements, especially rain, snow and temperature extremes, can take a toll on the integrity of outdoor outlets and possibly compromise their safety. That’s why it’s so important to shield outdoor outlets with protective covers. Leviton While In-Use Covers are made for such a task. They are engineered to seal out moisture, dust, debris and insects, while providing easy access to receptacles. Our Extra Duty While-in-Use Covers are ruggedly constructed of UV resistant polycarbonate. Leviton uses UV grade polycarbonate to ensure the covers resist the adverse effects of repeated long-term exposure to sunlight such as cracking and discoloration. This not only helps keep the cover in good working condition but keeps it looking fresh and clean as well. UL514D section 8.9 – Impact resistance for outlet box hoods. In this test, a 12lb weight is dropped from 18" height onto the device without the cover latched fully closed. This is applied in two different positions. UL514D section 8.10 – Hinge stress resistance for outlet box hood assemblies. 40lb of force is applied to the cover when in the open position and from two different directions. UL514D section 8.1 – Rain Test. Following the preceding tests, spray heads rain water down onto the sample devices. 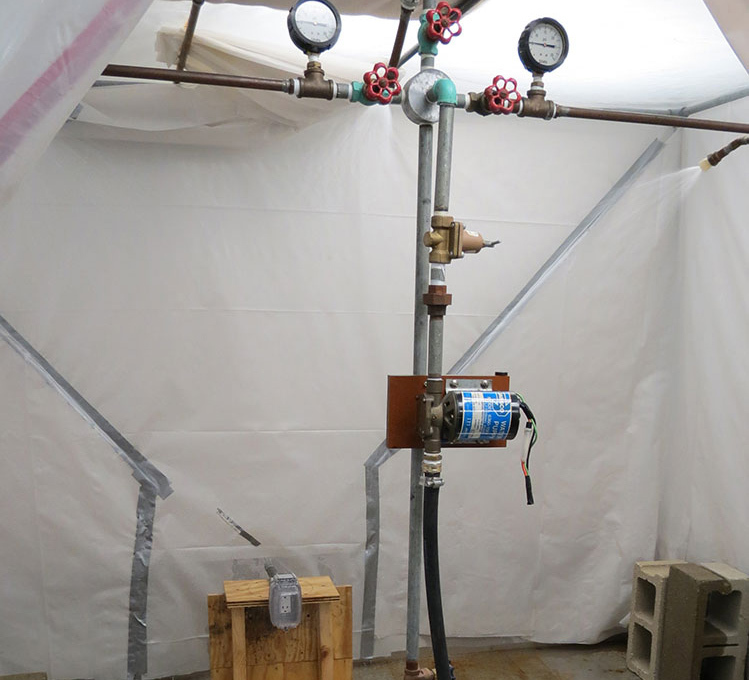 All tests are repeated multiple times during development and three samples of each catalog number are needed for each test (with the exception of the rain test since it follows the impact and hinge stress tests). The tests are intended to simulate extreme use and abuse in terms of mechanical operation and durability. Once we’re sure our product has met the necessary requirement it’s time for UL representatives to come to our test lab and witness the tests in person. For added protection, Extra Duty While-in-Use Covers include two inserts to cover the circular cord openings to prevent insects and debris from entering the cover while not in use. 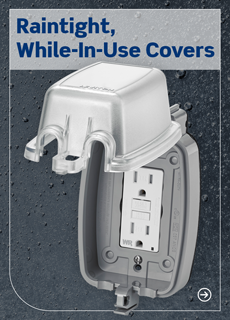 And, Leviton Extra Duty While-in-Use Covers comply with the 2014 National Electrical Code® for “extra duty” application hoods for outlets in damp or wet locations making them a safe and smart solution.